The work of a web designer is more of a creative process and in order to enhance that creativity web designers try to reduce the tedious technical part of their work with the help of various plugins and tools available for the software they employ. Nowadays there are many handy software extensions that can make the work of a web designer much easier and as a result more enjoyable. Oftentimes the best and most useful tools are paid ones and not every web designer would go for it. So today we have come up with a selection of the best free Photoshop Plugins that will be helpful for both web designer pros and amateurs. This Photoshop extension is basically a set of scripts that will do the routine technical work for you. With the help of Layrs Control you can easily remove all unused layer effects, delete empty layers, rasterize smart objects, and flatten layer effects styling all elements in accordance with flat design principles. As flat UI is now on the rise, you may need a separate plugin for creating flat designs and that’s Skeuomorphism.it. 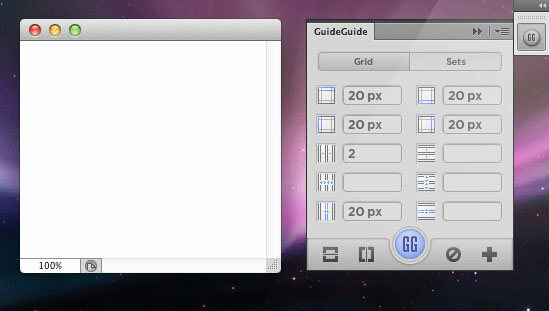 This is a very handy tool designed for cutting layout and exporting separate slices to different devices. For a web designer working with multiple screen sizes this is a heaven on earth. Cut&Slice allows you to export layers optimized for a particular device type. With the help of a special syntax used when naming layers, Cut&Slice can automatically perform additional actions on a layer or a group of layers, including trimming, scaling, detecting the state of buttons and distributing them on the different types of devices. Render.ly performs pretty much the same functions as the Cut&Slice, but has a few more useful features. It allows users to leave comments on the layout, which are then synchronized and available online. Another good thing about Render.ly is that it smart enough to export only those elements that have been changed during the session making it faster and more efficient. CSS3Ps is a handy tool that converts Photoshop styles and shapes to CSS3 and SCSS/SASS for Compass. It supports multiple features, including text layers, inner shadows and outer glows, which will help you with button designs, internal and external lighting, gradients, border-radius, etc. The plugin is cloud-based, which is both good and bad. The good thing is that you won’t need to download and reinstall plugin updates to get access to newly released features and extensions. And the downside of it is that CSS3Ps requires internet connection, because the final output is generated on their server and therefore it may take up to 30 seconds. Composer is a great plugin that allows you to perform the same operation on multiple layers simultaneously. It reduces a lot of tedious work dreaded by most web designers. The range of commands is unfortunately limited to only 4 (update layer styles, positioning, visibility and all at once), but it boasts that it will cover any changes you typically make. This is simply a very handy plugin for working with grids with multiple types of measurements, which allows you to save frequently used guides for further projects. To create a really outstanding design, web designers often use non-standard fonts, but unfortunately not all of them are displayed correctly on all browsers and device types. This plugin lets you “try on” thousands of web fonts that will actually be used to go live right in the Photoshop window. The plugin gives you access to FREE web fonts from WebInk and Google web fonts. The Divine Elemente is one of the most exciting plugins for Photoshop that has ever been released. Divine Elemente project is aimed not only at professional web designers, but also bloggers and webmasters who have basic knowledge of Photoshop. As it is stated on their website “It creates a “non-existent bridge” between Photoshop and WordPress”. With the help of the Divine Elemente plugin anyone can create a Word Press theme, no skills of front /back- end development are required. All you need to do is to install the plugin, create the layout in accordance with an integrated blueprint and convert your Photoshop design to HTML / CSS / PHP code. Impressive, isn’t it? The only downside of Divine Elemente is that it is only available for Windows OS. But most probably an OSX version will be released in the near future, since the plugin is an absolute hit! The developers promise a lot of benefits, including: SEO friendliness, compatibility with HTML editors, XAMPP support, etc. The plugin has a FREE unlimited trial, but a paid version is also available, featuring advantages like free updates, free premium themes, extensions, etc. When creating web layouts you often need to also create sample users with realistic names and pictures. This is where Random User Generator will save you time and imagination. This plugin allows you to escape the long searches for avatars and with the click of a button generates a male or female character that has a random first name and last name, a random photo but altogether looks very realistic. These random personas are particularly useful when you need a placeholder in any kind of web mockups design drafts. 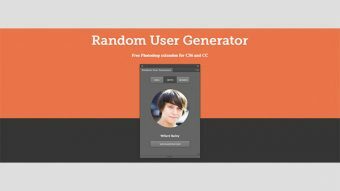 Random User Generator plugin works with the help of RandomUser API. This plugin is probably the most sought after tool among web designers. When designing web pages becomes a part of every project you want to have a solid collection of high quality design elements always at hand and ready to use. Well, BlendMeIn is a strong attempt to solve that problem. It offers a wide variety of FREE design assets in vector format for both Photoshop and Illustrator. With the BlendMeIn plugin installed you can search for your desired element without leaving the Photoshop or Illustrator window. A must have for both pros and amateurs. Flaticon is yet another free plugin that provides access to probably the largest collection (more than 38,000) of flat icons without leaving your working environment. The plugin is designed and developed by freepik.com, which is also a great source of free vector and .psd files to use in your designs.